And I will let my hair flow and my dreadlocks grow. Yes she’s gone crazy maaad crazy because she is loved. Because When a woman is loved, she becomes love. Wow! When a woman is in love….. with the power and of this poem, now I can imagine What it means for a woman to be in love. Thank you Black pearl for sharing this prolific masterpiece! Black pearl was born and raised in Zimbabwe. 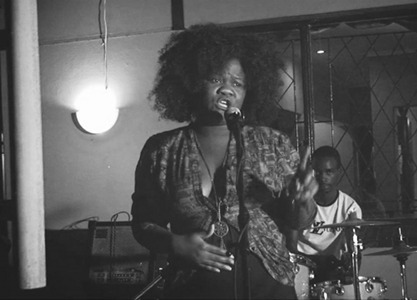 The 25 year old poet emerged on the performance scene in June 2010. Her poetry is impeccable and captivating to all poetry lovers. Her work depicts life as she experiences it, pointing out beauty, and humor. Blackpearl has taken part in events that include Harare International Festival of the Arts, 16 Days of Activism against Gender based violence, Acoustic Nights (hosted by Zimbabwe German Society and Wildfire Events), Intwasa Festival, Sistaz Open Mic, Bocapa amongst others.